Shilpa Mehta is the Global Measurement & Insights Lead at Google. She and her team deliver data-driven insights on media attribution, industry trends, product development, and media portfolio effectiveness. 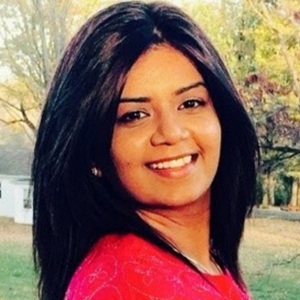 Originally from India, Shilpa moved to the US to pursue her education and passion for digital marketing. Since earning a Masters in Marketing Research from the University of Texas, she has accumulated 10+ years of diverse industry experience at notable companies including MediaCom, Microsoft, and AOL, before joining Google in 2016. Shilpa works out of Google’s New York office and lives in New Jersey. Outside of work, she and her husband enjoy exploring the outdoors and cooking new dishes they discover on YouTube. They also love to travel; their most recent excursion was to Iceland.